I’m sorry it has taken me all day to get this up and available for you to see. The Paper Bow is not my original design, I learned how to make it from a fellow splitcoast stamper. It is fun, easy and doesn’t take much time to make. Start with a 6 x 12 sheet of designer series paper. You will need 8 – 1 x 6 pieces, 4 – 1 x 5 pieces and 1 – 4 x 1. The photo above shows how the 6 x 12 is divided to render the perfect amounts and sizes to make the bow. I flipped over some to help you see the sets you will be using for the different layers. Start by wrapping the 1 x 6 pieces and the 1 x 5 pieces as shown on the left. 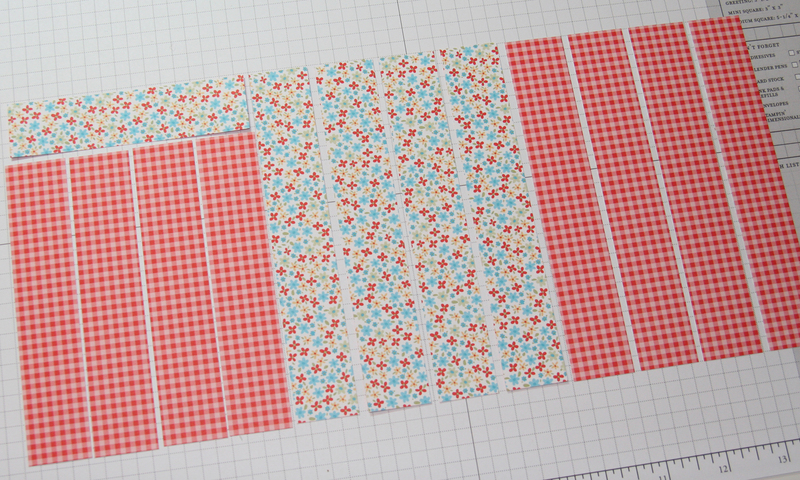 Four pieces are used on each layer, so make sure to alternate the pattern you have on the outside. You should end up with something like this. Wrap the 1 x 4 as shown in the lower left corner. Use a 1/16 hole punch to make a hole in the bottom of each piece and attach together using a brad. You should end up with 3 layers and a center as shown on the left. Now you need to attach the layers together, starting with the bottom. Place a pop-up glue dot in the center of the bottom layer and place the middle layer on top as shown on the right. Repeat the process until the bow is complete. 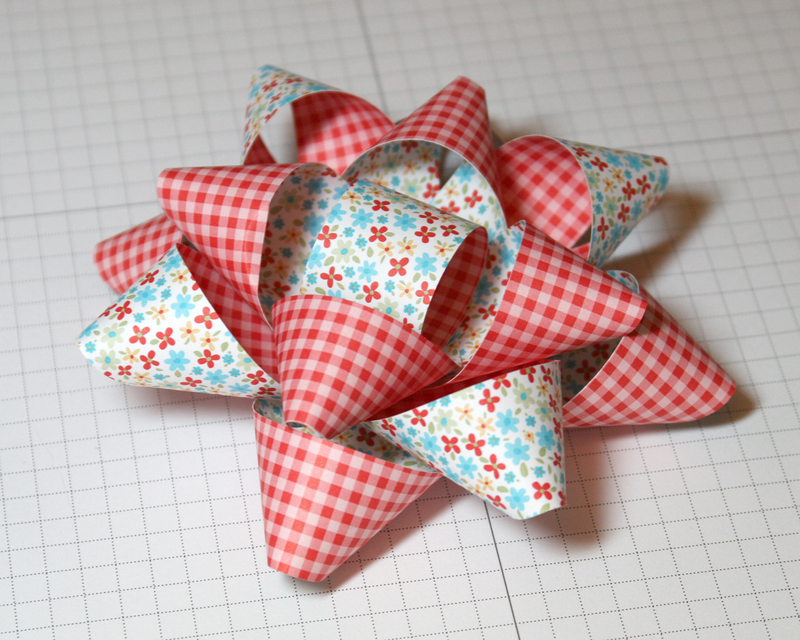 I hope you find this helpful in making your own paper bows. Have a great day! OMG I have been meaning to call you and say ALL your cards are beautiful but making that bow without your tutorial was very difficult….thanks so much. Thanks so much for the tutorial, I plan to try it at an upcoming workshop! I love all of your designs, – my new favorite blog to look at each morning as I drink my coffee!